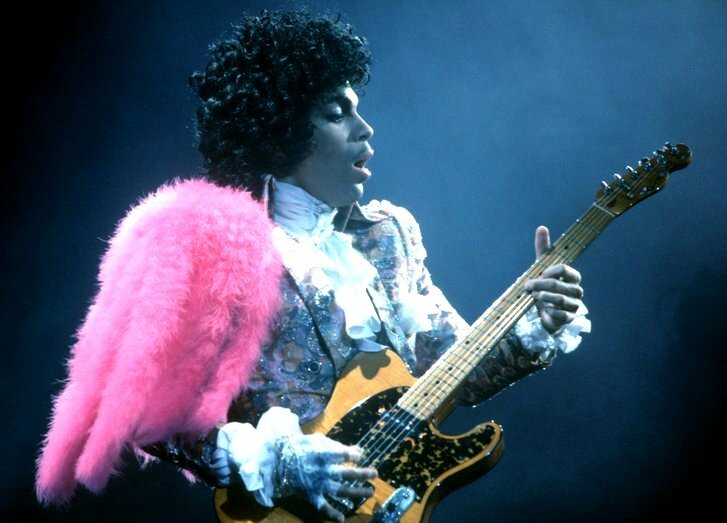 Lordy - sixty years ago today, the much-missed Prince Rogers Nelson was born! The archetypal flamboyant icon of mid-80s to mid-90s pop [alongside Queen Madge, of course], he evolved from the shadow of his idol Rick James into the mega-successful, adored superstar whose death was so widely mourned across the globe. He was not merely a performer, singer and musician, however; he was a brilliant songwriter, too. Did not realize he wrote "Manic Monday". Did he ever perform it himself? Apparently: Prince wrote 'Manic Monday' in 1984, and recorded it as a duet for the band Apollonia 6's self-titled album; however, he eventually pulled the song. Two years later, he offered the single to The Bangles under the pseudonym "Christopher", a character he played in the 1986 film 'Under the Cherry Moon'. It was rumoured by various writers that after Prince listened to the band's 1984 debut album 'All Over the Place', he gave the song to Bangles rhythm guitarist Susanna Hoffs, so that in return she would sleep with him. a sad loss to the world. Whatcha gonna do about it, whatcha gonna do?